Being ill with a cold or a sore throat is rather unpleasant. I especially dislike when my throat feels like it has a porcupine living within it. When I was little my mom would give me sweet sticky homemade syrup from Poland. Now we have both moved on to this tea! It’s important to keep yourself hydrated and provide your body with powerful antioxidants. 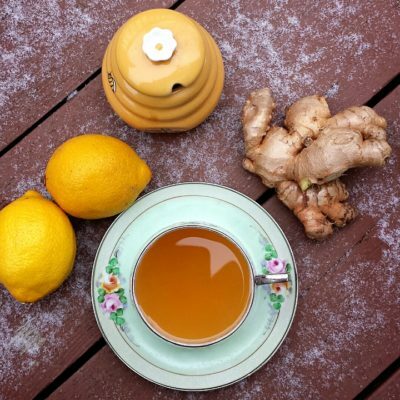 Lemon, ginger and honey are such antioxidants!! Lemon is a high source of Vitamin C as well as a good source of folate and pectin. The secondary compounds found in lemons have antioxidant, anti-cancerous and antibiotic effects ( they include flavonol glycosides and kaempferol). Limonoids a compound found within lemons (as well as limes) has been found to fight against cancers of the mouth, skin, breast, lungs, colon and stomach. Lemons have also been noted to reduce inflammation within the body; thereby being beneficial for individuals with rheumatoid arthritis. Ginger has many benefits including anti-inflammatory aid (primarily to the gastrointestinal system as well as reducing inflammation in joints (arthritis)). It is beneficial in detoxification and elimination of waste from the body. 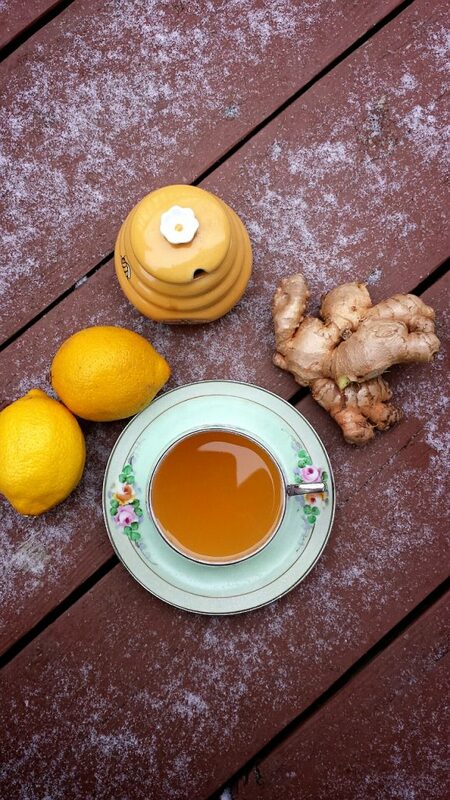 Furthermore, ginger has shown to have benefits against colorectal cancer. Gingerol an active compound in ginger may prevent the development of colorectal cancer cells. Ginger also has benefits as an antioxidant for boosting the immune system (that it when your sick, or better yet as a preventative). Raw honey has been consumed for thousands of years by humans, prized for its sweetness and medicinal properties. Pasteurizing honey kills a lot of the beneficial nutrients, as well as the flavour. Local raw honey is great at combating pollen allergens in individuals, it boosts up the immune system, aids in healing internal ulcers, aids in balancing hormones that promote sleep (serotonin, tryptophan and melatonin) and the part that makes it work wonders in this drink its natural ability to soothe a sore throat and work as a cough syrup. Honey’s antioxidant and phenolic and flavonoid properties aid in reducing mucus build. 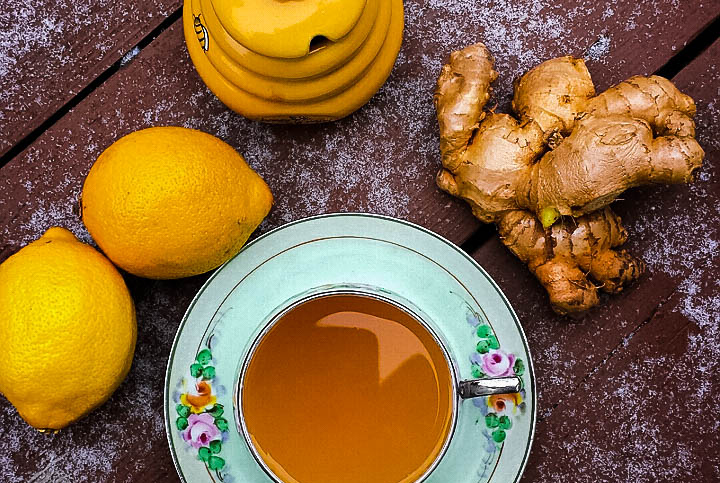 Choosing honey from echinacea will provide an added benefit to fighting sore throats. 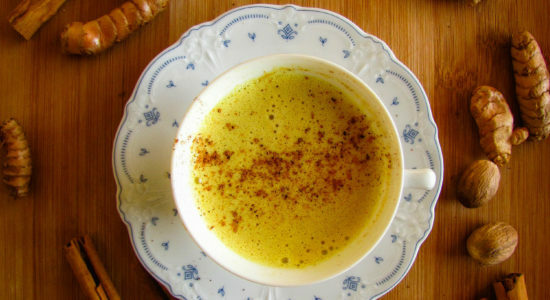 The perfect drink when you have a sore throat or are feeling under the weather. 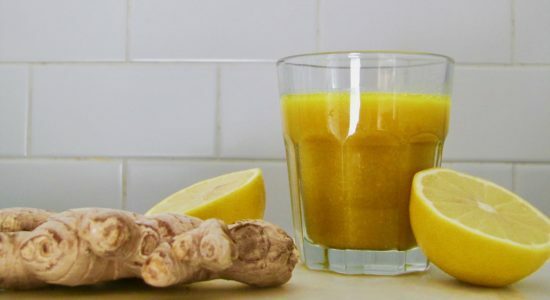 Smooth, sweet, sour, this drink will boost your immune system, stimulate your gut, and help to fight off an unwanted infection. Throw everything into a pot and boil it on medium.